What would you say to a selection of reputable, fun, useful, and highly desirable products being offered with varying discounts? You’d want to know more about that, right? Well, let us take you on a journey of cost-cutting and product discovery with these appealing Dodocool deals. As you will ultimately see when you peruse through the available deals, they stretch across various product genres, including power delivery, home automation, lighting, and intelligent home-based tech. In addition to being sought-after and extremely appealing, each product comes with a minimum 25% discount with the discount rising to an impressive 48% on the Koogeek-branded door sensors and intelligent lighting. 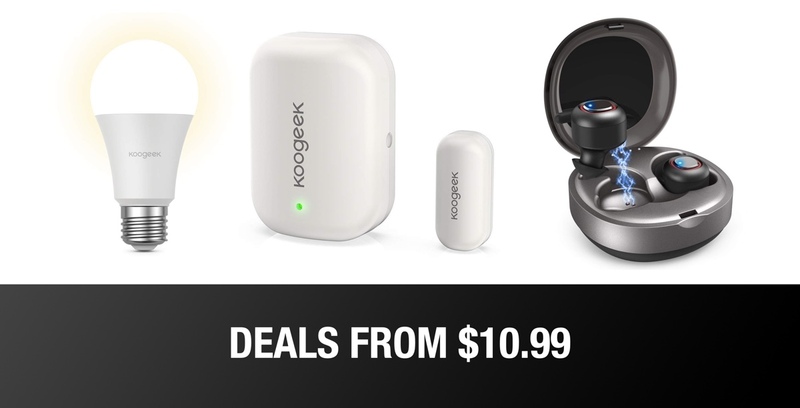 Highlights from the above definitely include the low-cost Koogeek hardware which will immediately bring a touch of intelligence into the home. And, if mixed with some voice-controlled equipment, such as an Amazon Echo Dot, then you find yourself with a socket or light that can be controlled remotely, by voice, from anywhere in the world. You will never again have to worry about whether or not you have left the washing machine on or if the lights are on when you are out of town. Simply control the whole system remotely from your device. Wonderful hardware at extremely appealing prices. Remember, if you are interested in any of the deals above – and, let’s be honest, you probably should be – then make sure to act quickly and benefit from the savings while the iron is hot, so to speak. It won’t be long until the deals are removed and the prices rise. Promo code for Dodocool 20100mAh 45W PD Portable Charger not working.